Travelwear and activewear are perfectly balanced in the Prologue Collection, offering wearers versatility between plane, town, and trailhead. A durable, stretchy, and comfortable nylon/spandex double-weave fabric performs triple duty: (1) Wards off wind and foul weather, (2) Keeps you warm when on the move, and (3) Dries quickly without wrinkling. 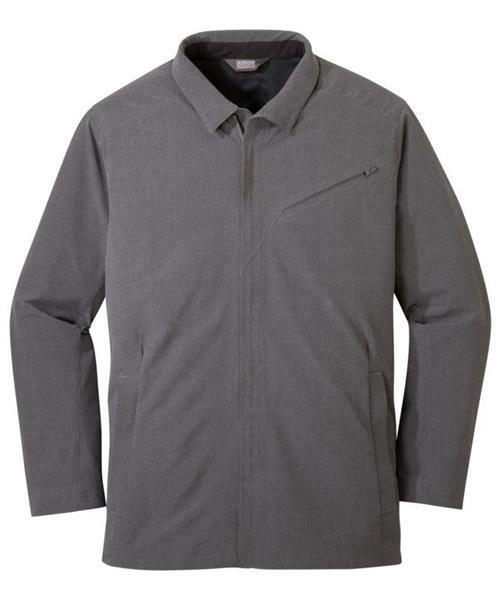 The Prologue Travel Jacket is the outdoor adventurer's version of a travel blazer, standing up to functional demands with a full frontal lining, underarm vents, and movement-mirroring stretch.